Police have issued a public appeal for help finding a Brighton boy, 14, who went missing a week ago. 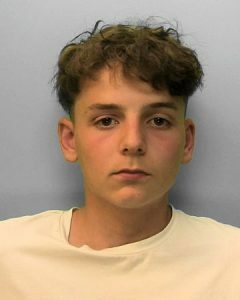 Sussex Police said this afternoon (Friday 21 July): “Police are concerned for missing teenager Regan White, from Brighton. ​“Regan, 14, was last in contact on Sunday (16 July) but has not been seen since Friday 14 July. “​He is described as white, 5ft 5in, of slim build, short brown curly hair, brown eyes and a pale complexion. “​Regan could be in the Brighton area but it is believed he has travelled to London. I saw him at around 8:45pm on Friday the 21st of July. In bevendean walking through fitch drive with another boy in a hoodie. Don’t really know whether this helps or if he’s still missing however I think I know the other boy who he is with or may even be staying with.